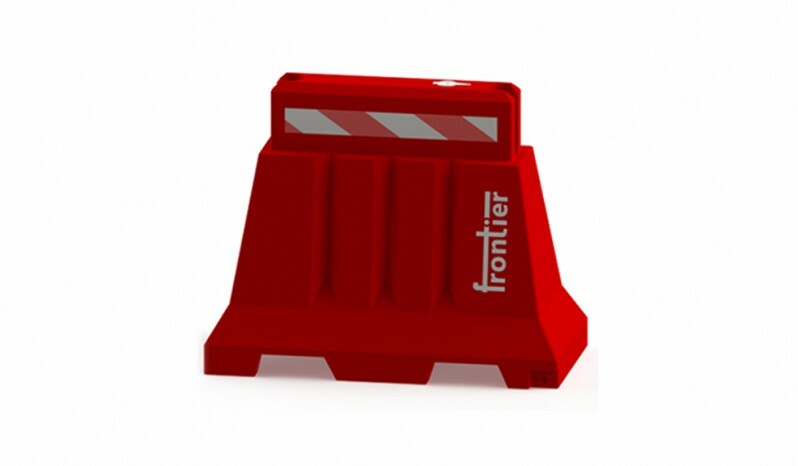 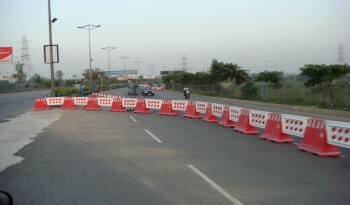 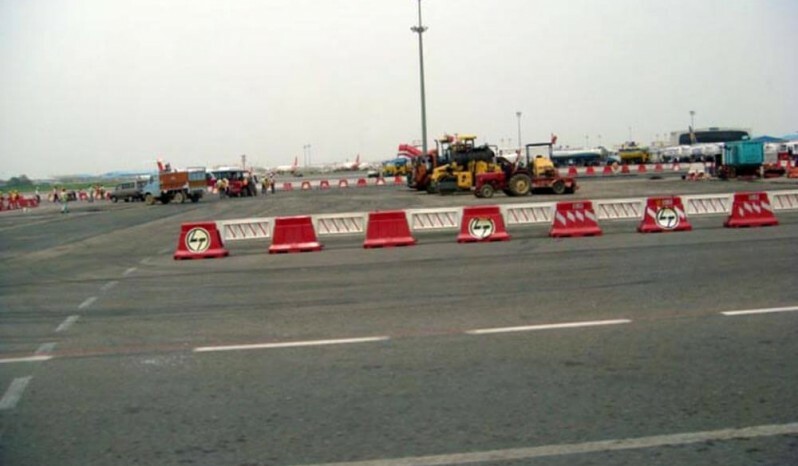 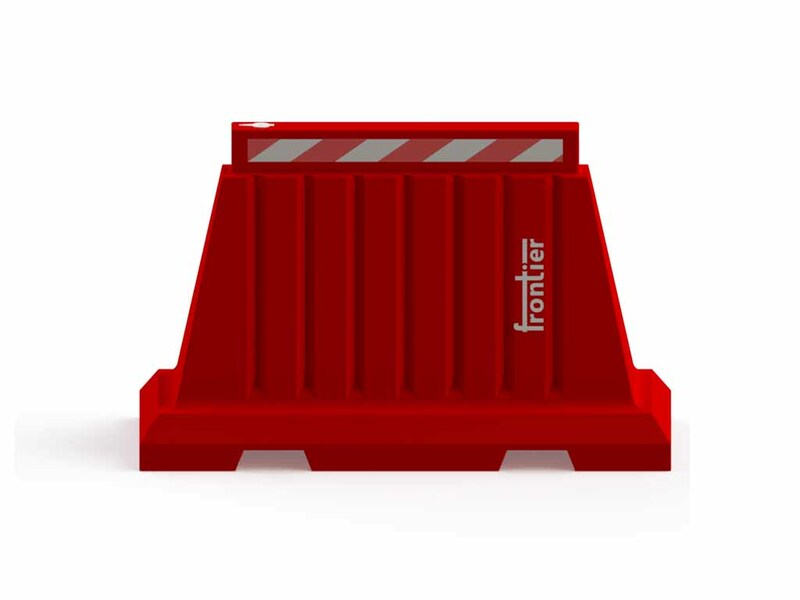 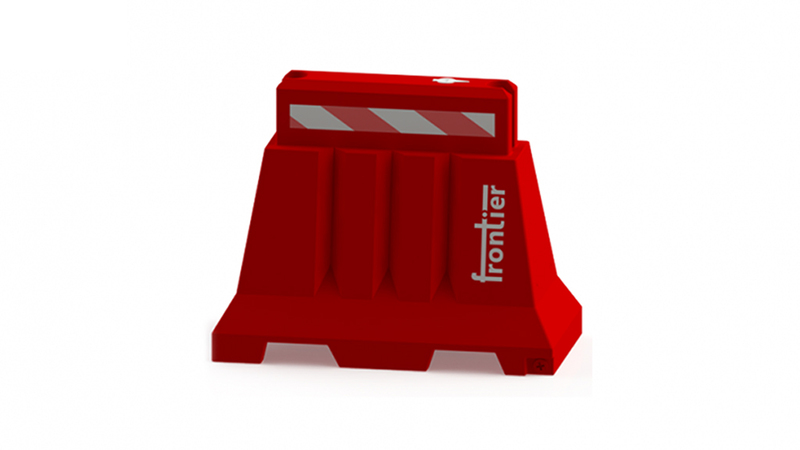 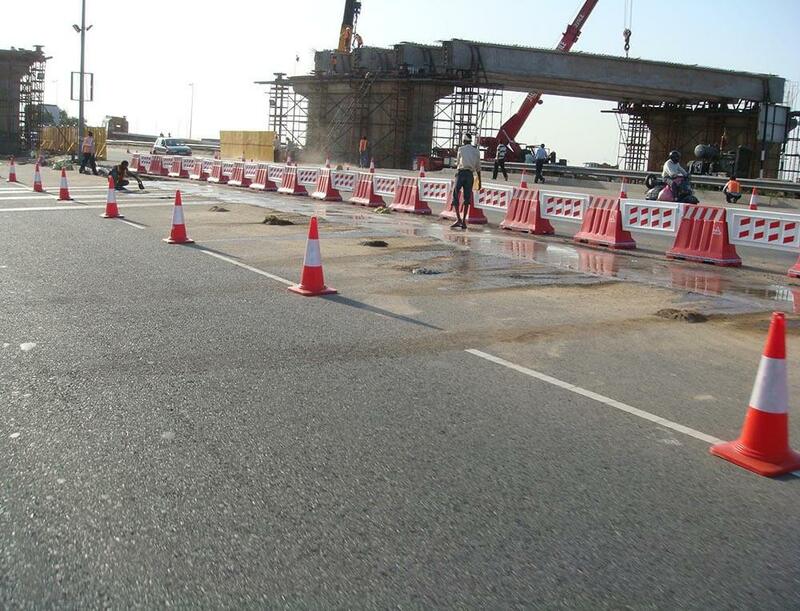 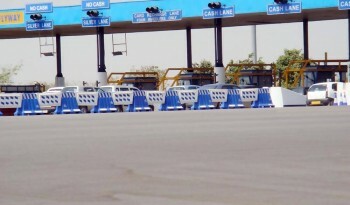 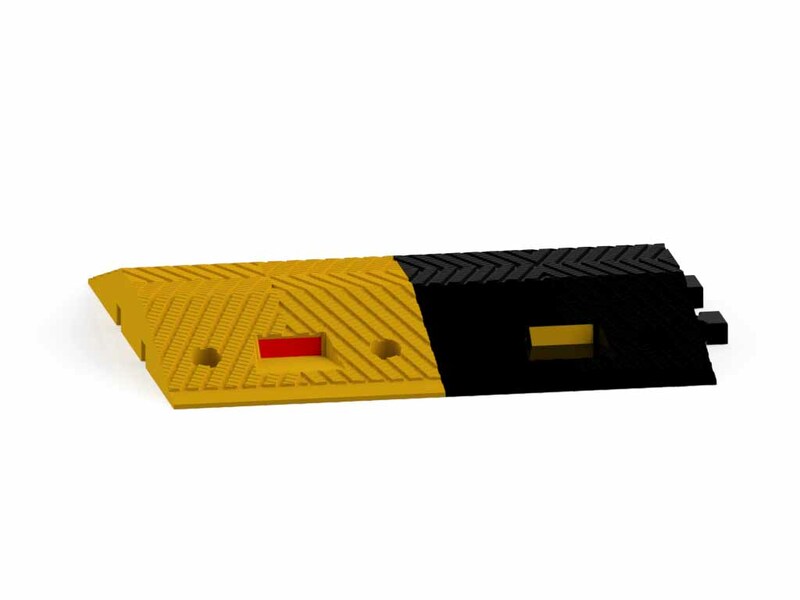 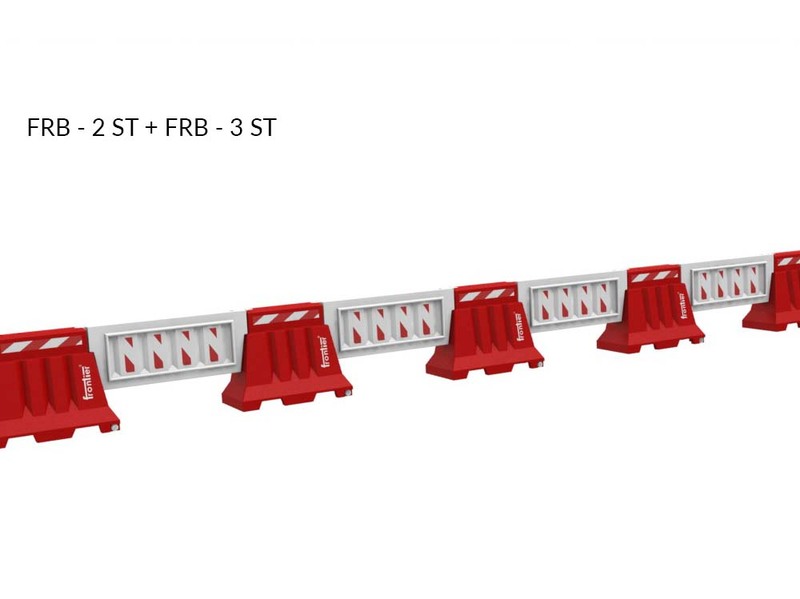 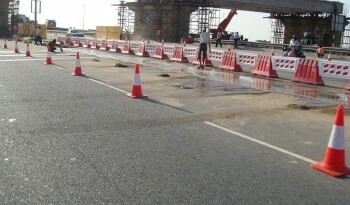 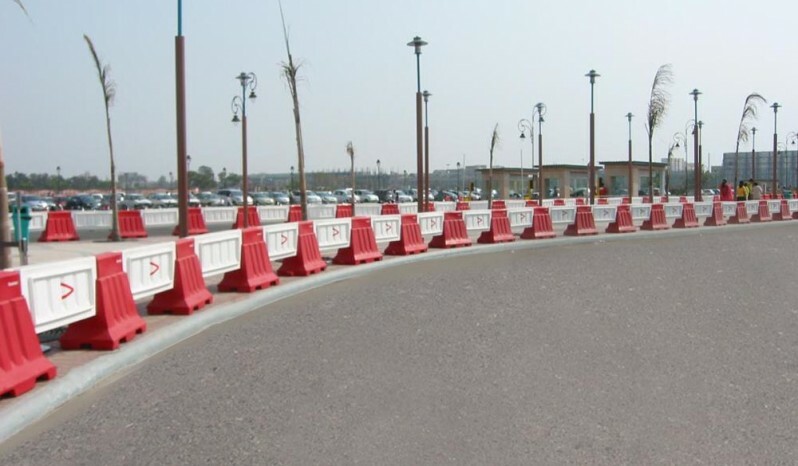 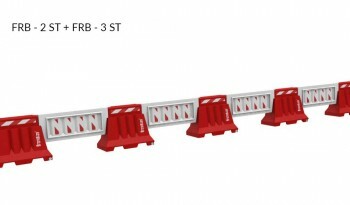 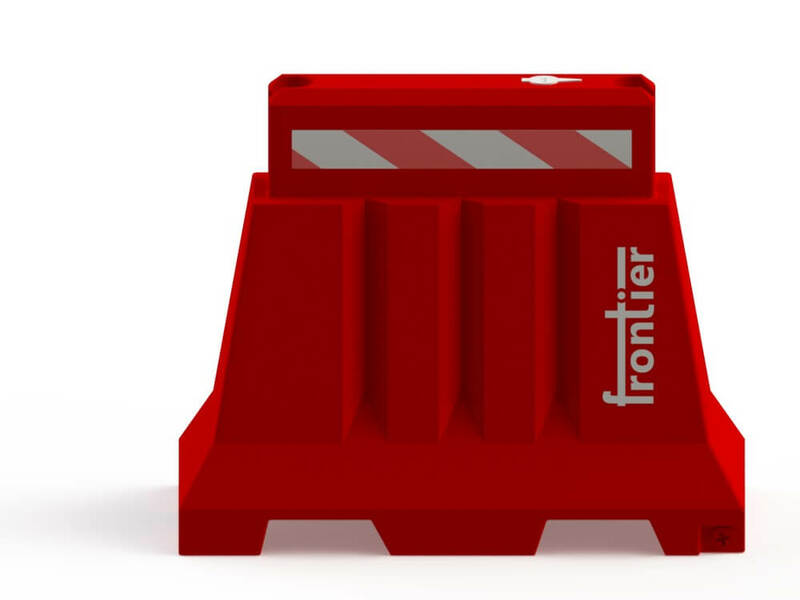 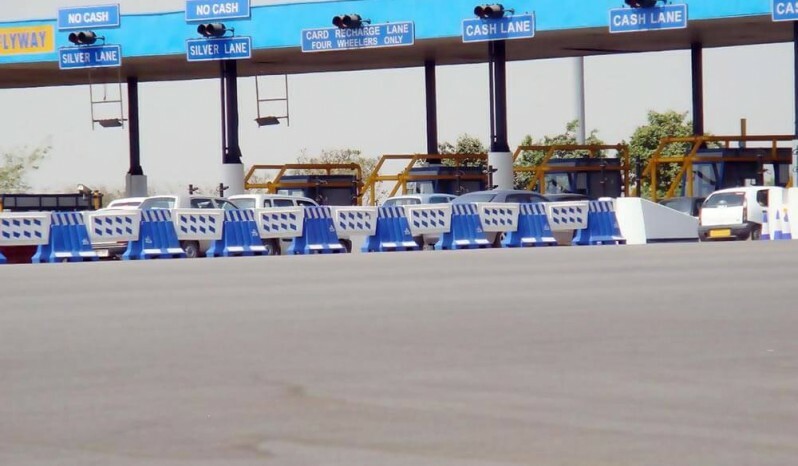 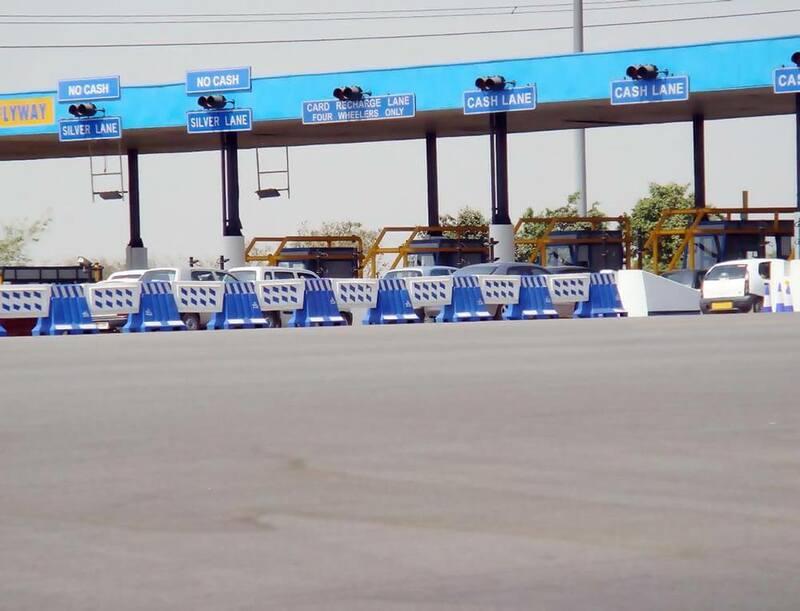 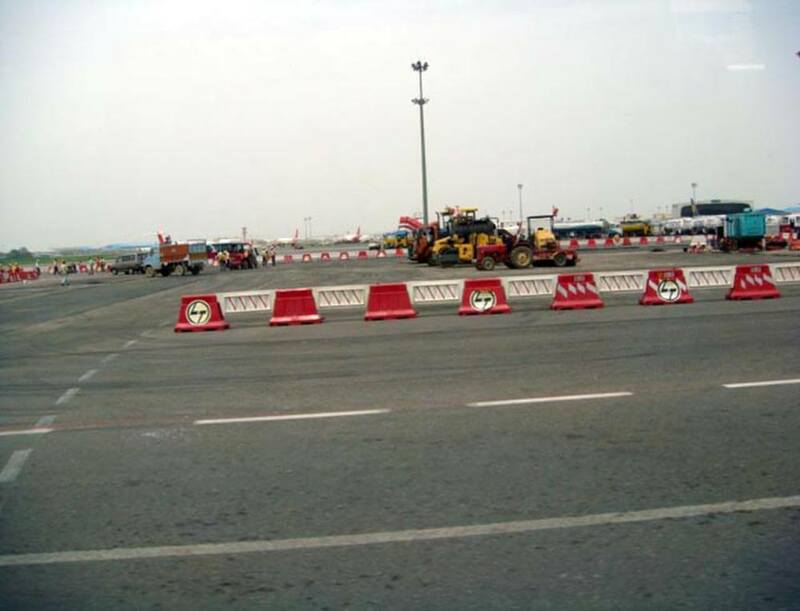 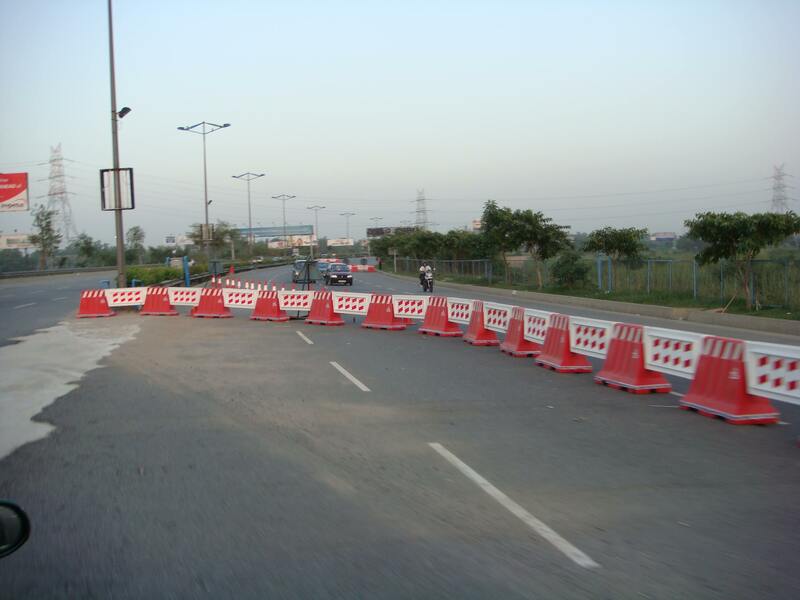 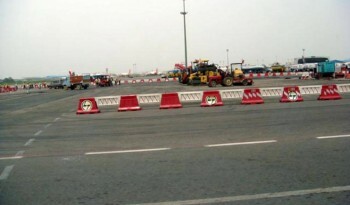 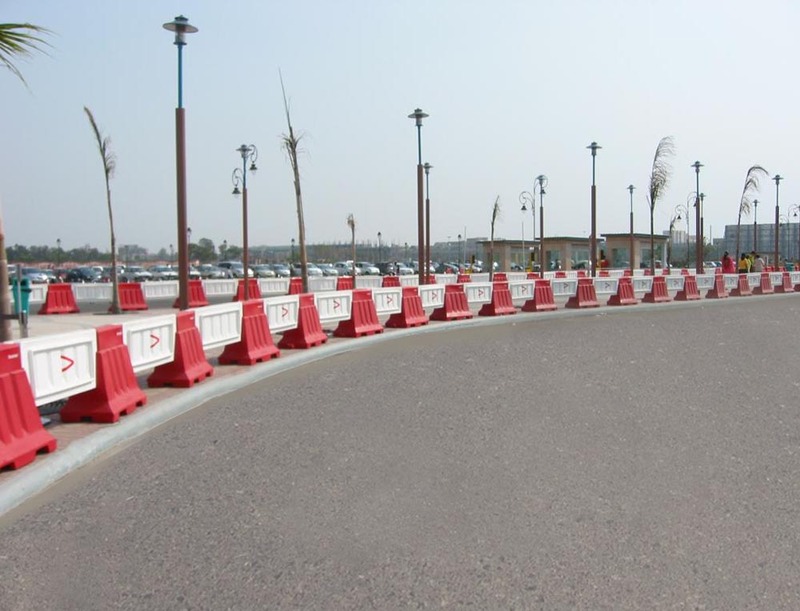 Frontier FRB-2 barriers are 1 meter long road barrier with interlinking plank barrier. 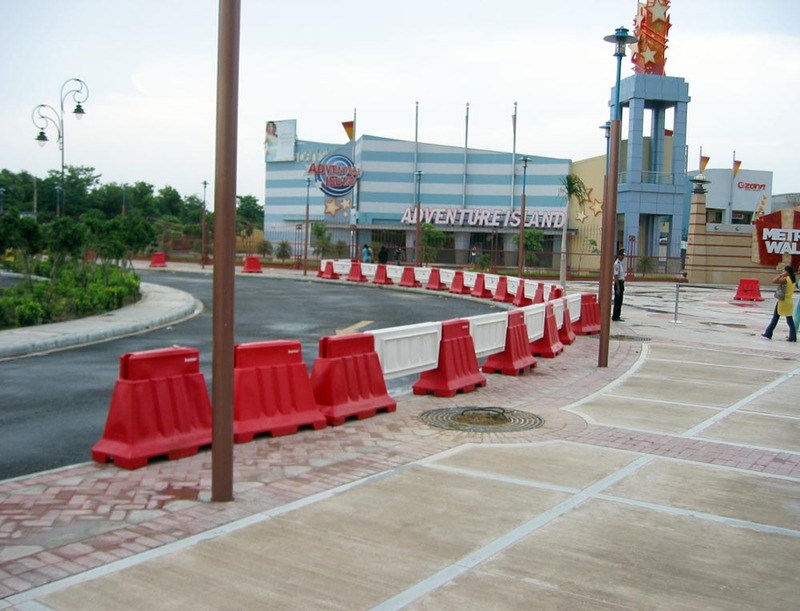 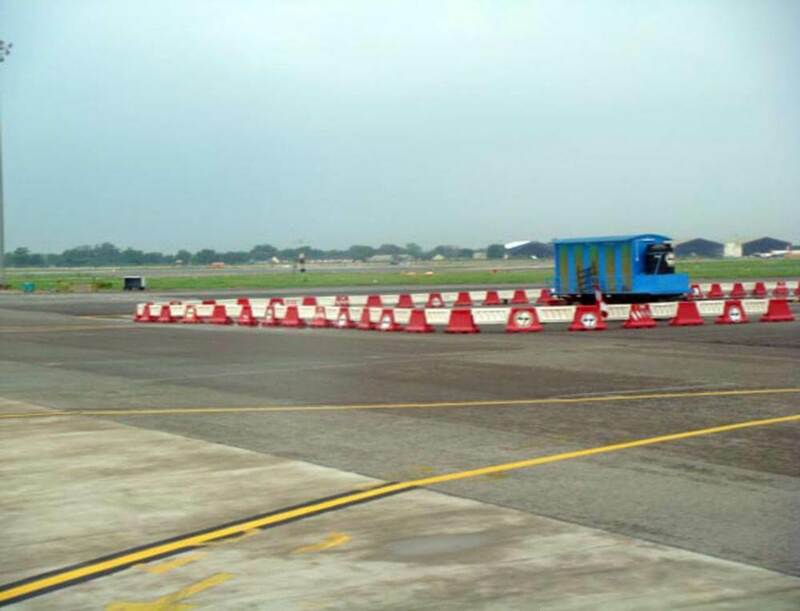 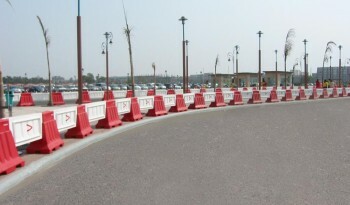 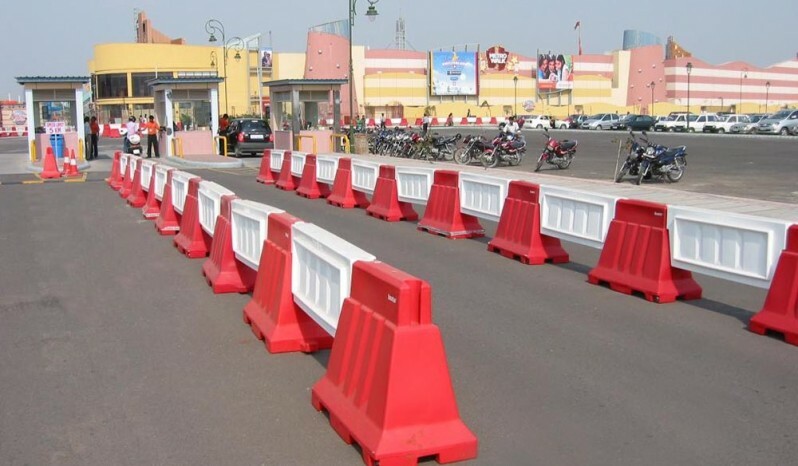 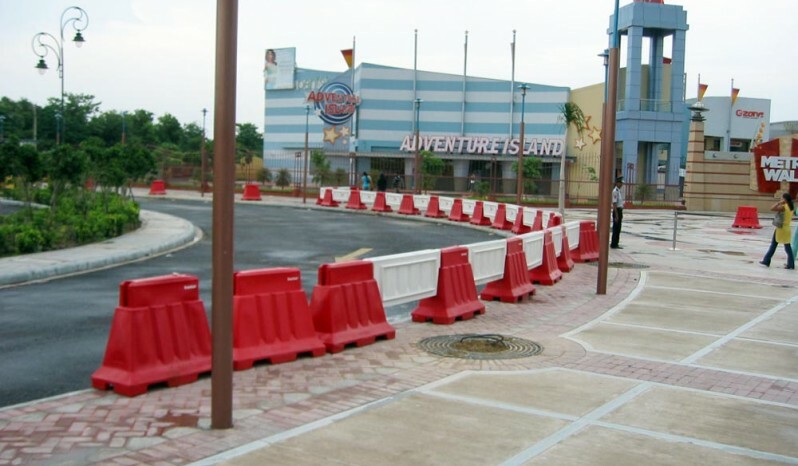 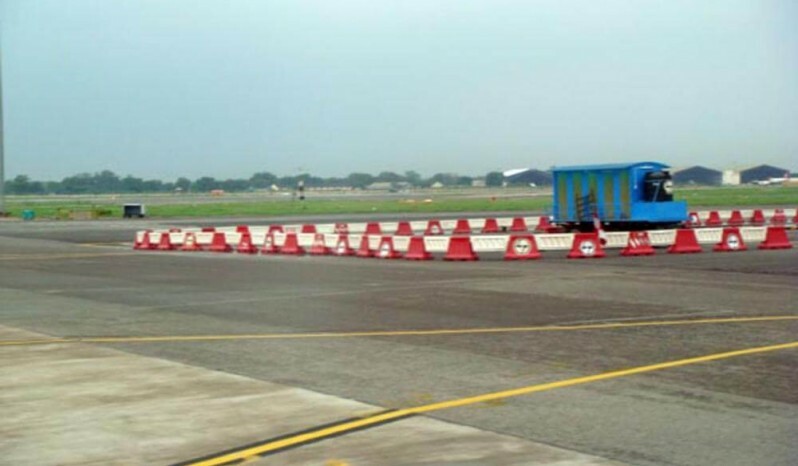 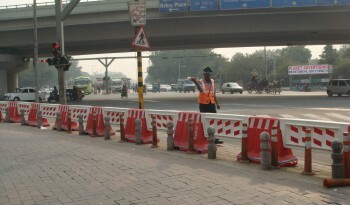 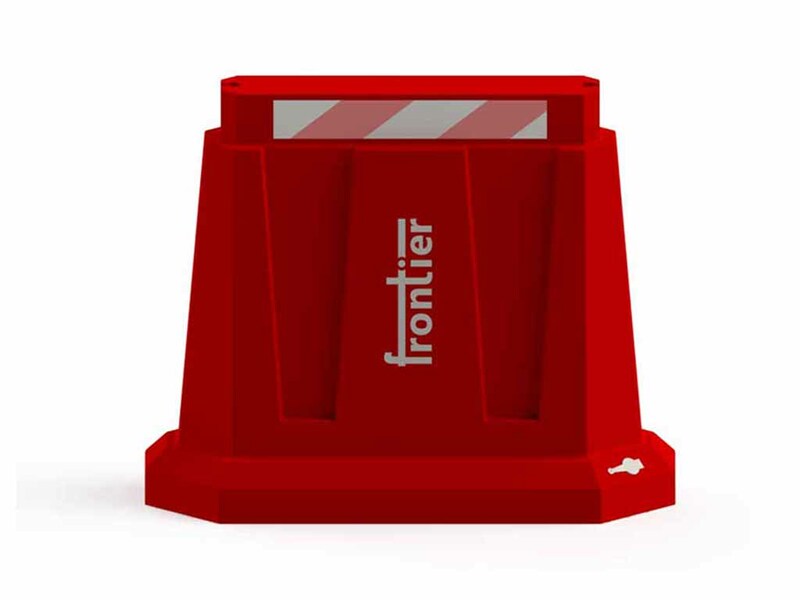 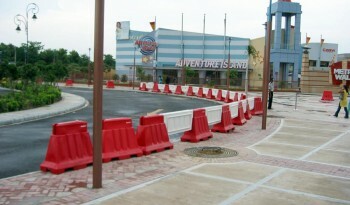 This barrier system was first designed and manufactured by us at Frontier. 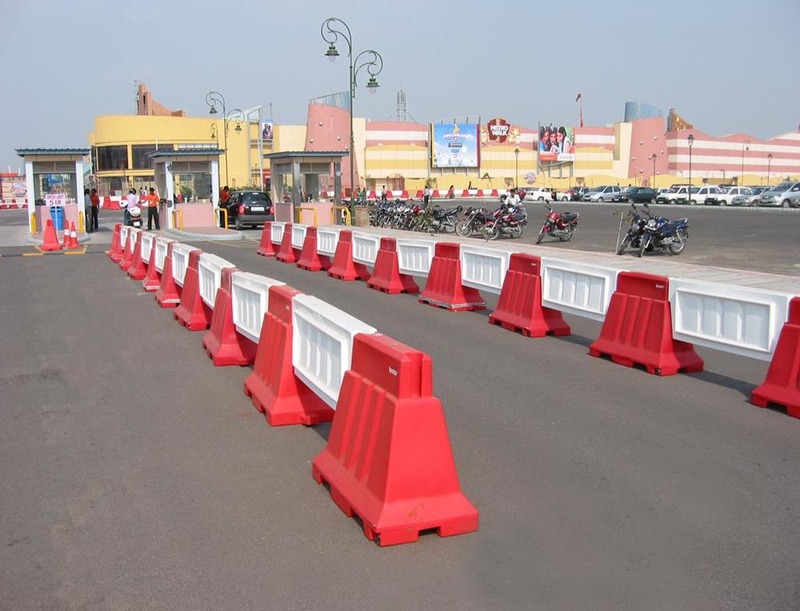 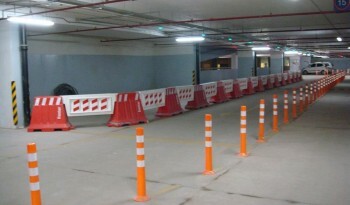 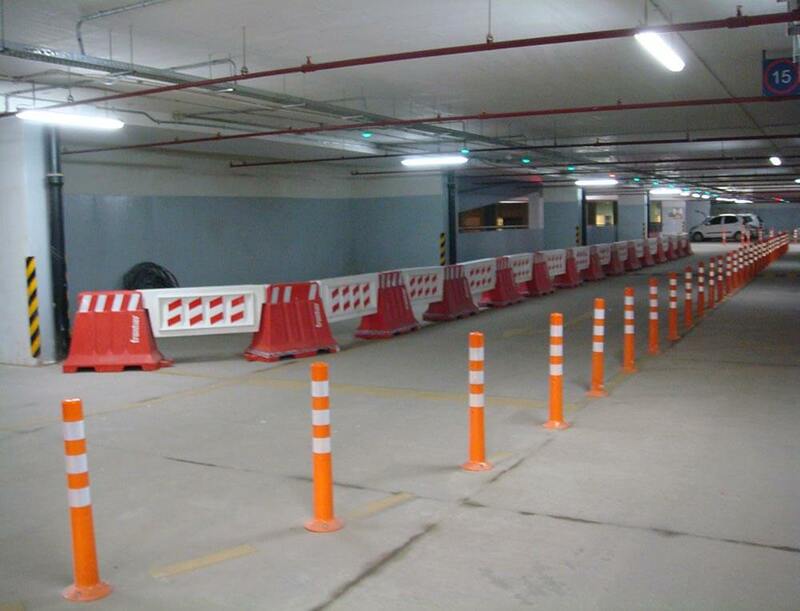 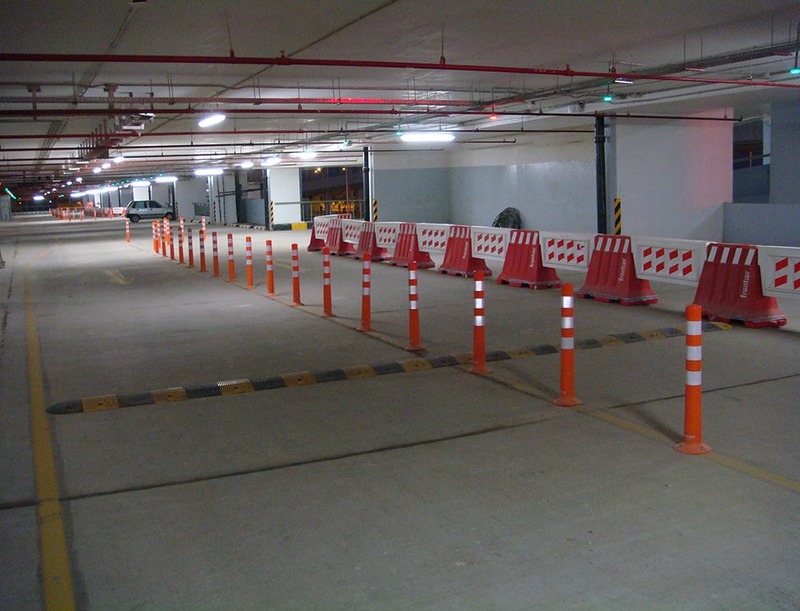 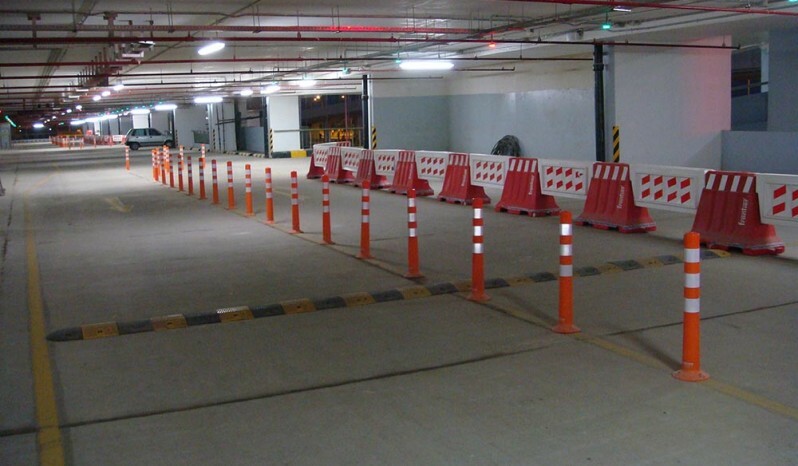 This barrier system with their modular design allows choosing the desired length. 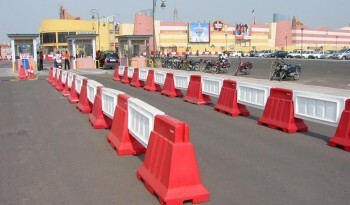 An economical way to ensure safety on road. 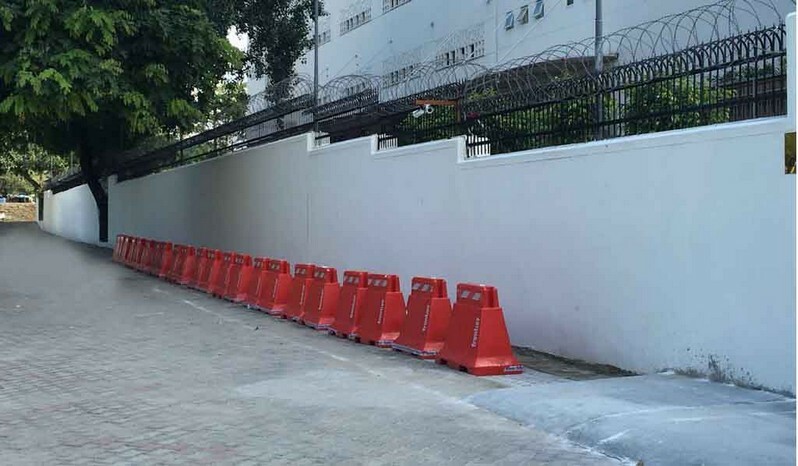 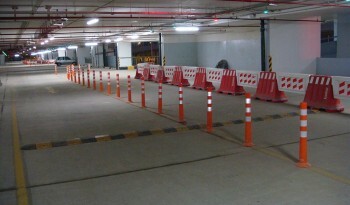 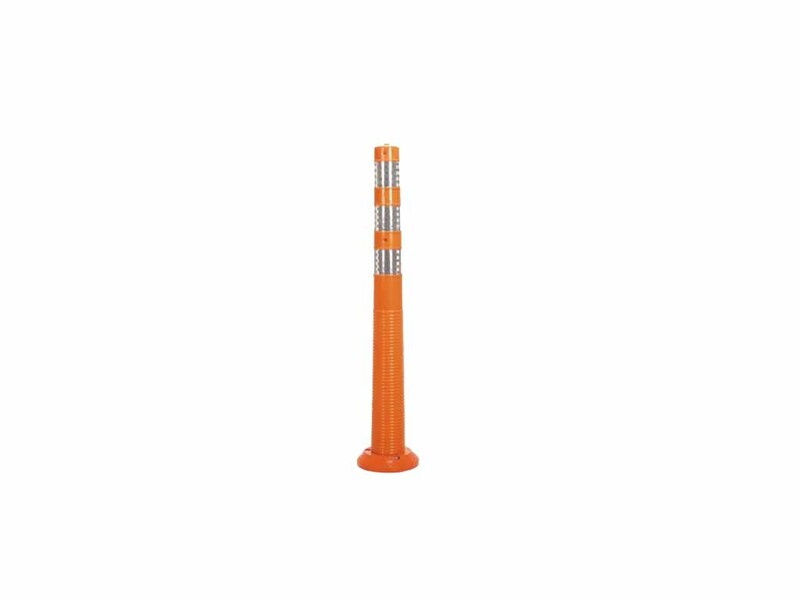 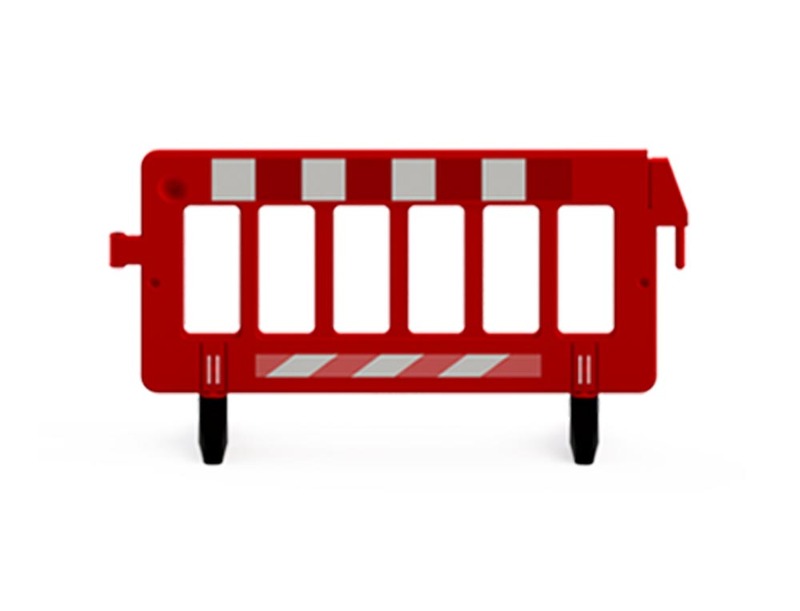 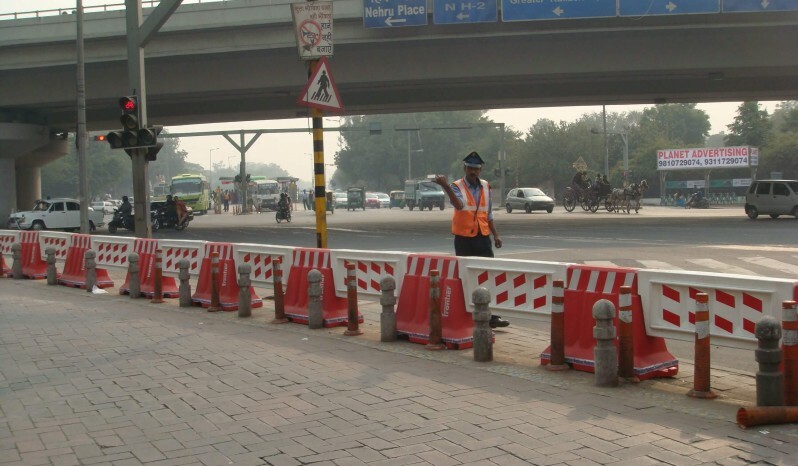 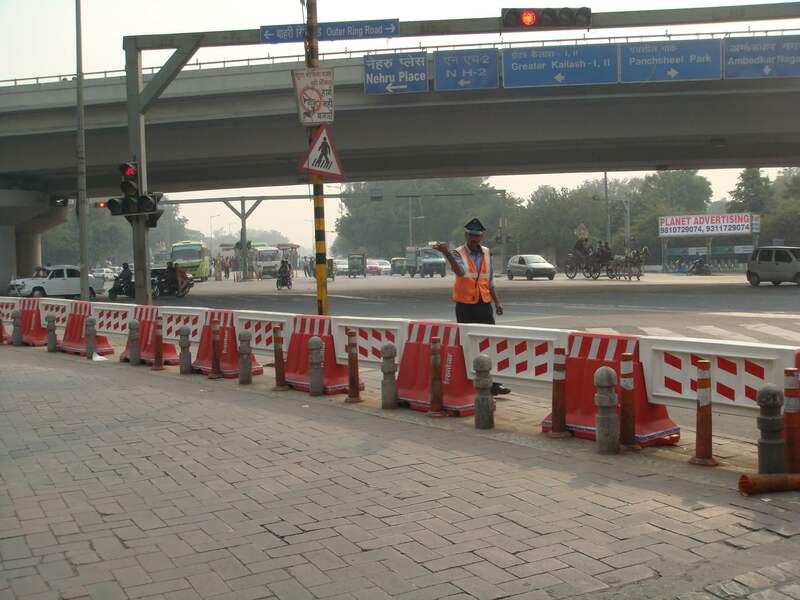 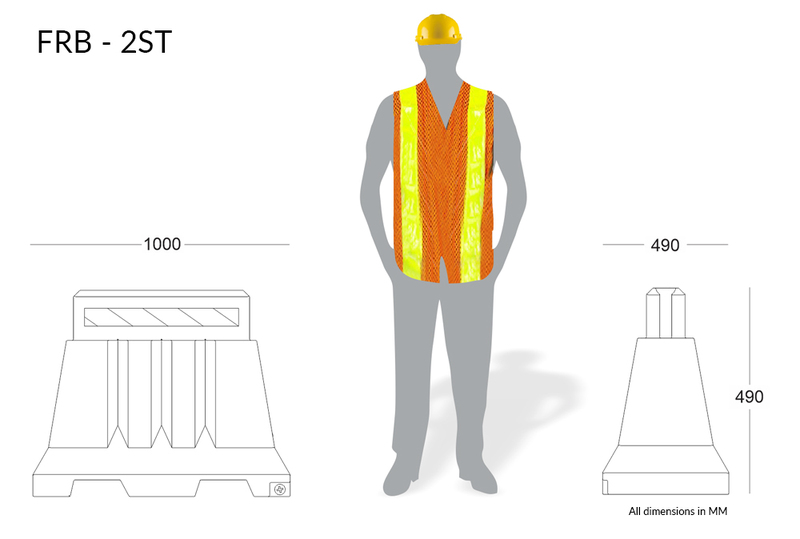 These stackable road barriers are highly visible in work areas due to their coloured interlocking sections in Red & White. 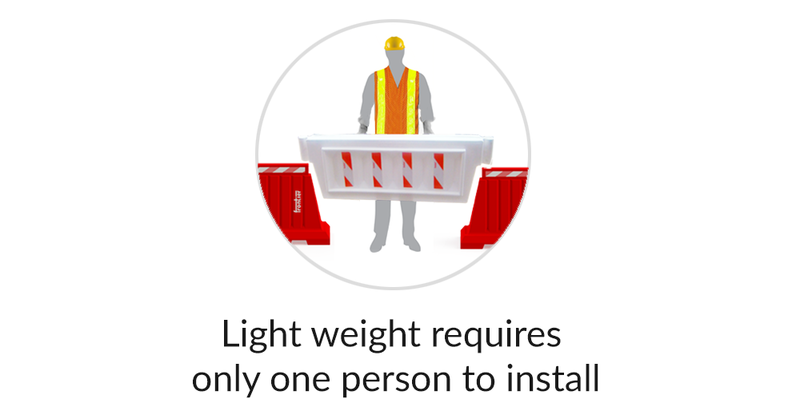 One worker can handle this crash barrier system and set up in no time. 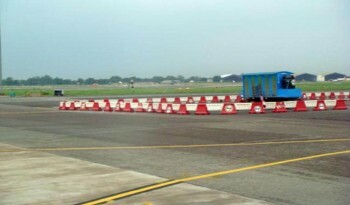 Provision to fill with water to make it heavier.